Motor City Drum Ensemble’s release schedule may have slowed down in recent years, but he’s gone from strength to strength with his DJing as one of the most in-demand selectors working the circuit today. That’s why we tapped him to headline our 2015 festival in Warsaw and likely the reason Dekmantel drafted him to inaugurate their new Selectors compilation series this month. 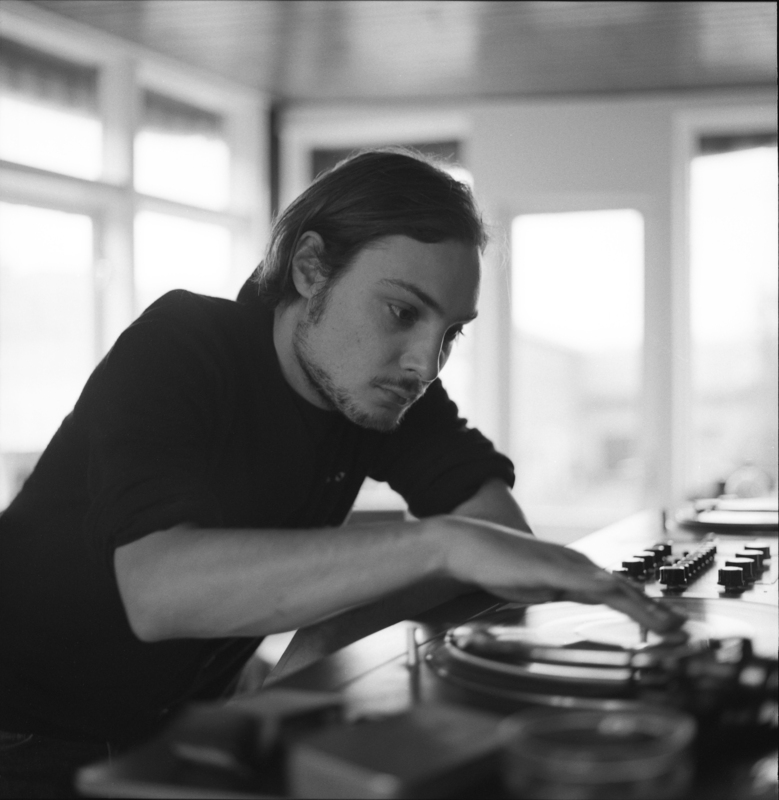 He also has a thing or two to teach established and aspiring DJs alike about striking a balance between soul and technical ability or between many different styles of music, from disco to Polish jazz. “I’m not the most technical DJ out there,” he says. “I try to keep to the spirit of the DJs that influenced me most, where selection is almost everything and you’re not afraid of playing un-quantized stuff. With all the technology available today, beatmatching two quantized records really doesn’t take that much. This doesn’t mean mixing skills ain’t nothing, but you can’t create a special vibe just through technicalities.” Here, he shows us how it’s done by pulling six tracks he’d string together in a set and explaining how the sequence works. This is a very nice opening track if you play a longer set and have the comfort of bringing it down before you gradually get faster later in the night. I also love the message of the song. At a good party, it feels a bit like your crowd becomes one big family for this one night, and in a way, this seems to be the perfect song for it. …this massive Theo Parrish remix, which may also be his most “accessible” remix. Whenever I drop this, especially in the UK, people go nuts over it, and it’s not hard to see why. The repetitive vocals and pretty demented out-of-tune chords make this a very unique record that always stays in my box. One thing that I always keep in mind during my sets is to not play it too safe or stay in one specific genre for too long. I try to combine things that might be years or even decades apart from each other, but somehow just fit together. I also like to be pretty drastic sometimes, like going from really uplifting things to something very dark. This is something I always admired about Theo Parrish: high-contrast transitions might look ridiculous on paper, but at the right time, they make total sense. I love to play this one a bit slowed down, like at 115bpm. For me, “Measure 2 Measure” is one of Kyle’s best tracks. It’s super simple, yet with its unpredictable little breaks it stays interesting throughout. I like to switch a lot between genres, and this is a prefect record to go from more disco-y stuff into house again. This is one of the most “hip-hop”-sounding house records I own, and it’s finally getting the reissue treatment on my new compilation for Dekmantel. I’m very happy that these days, it’s easy to play a broad selection of music again—even on big festival floors. People seem to be more willing to be challenged with something different than the usual 4/4. That doesn’t mean I want to force this kind of stuff on people, but I feel most at home when I’m really able to push myself into the unknown. This massive Nigerian boogie anthem is well-known by now and one of my favorite songs ever. It was also the first record to get me into African disco, so it has a bit of sentimental value. It opened Pandora’s box, so to speak. Read more Played Out features with Borusiade, Zenker Brothers and Nick Höppner.